Curasano Spraytan Sentz® is a high quality, super soft glove with a microfiber structure designed to smoothly and easily apply Curasano Spraytan Express® in areas where spraying is more difficult (for example the back of the legs). This glove is durable and machine washable. 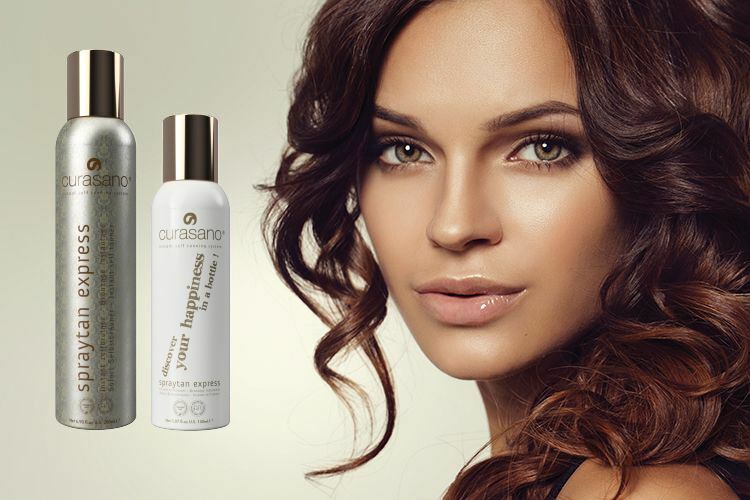 How should I apply Curasano Spraytan Express to achieve a beautiful and smooth tan? For the face, neck and décolleté it is recommended to spray from a distance of about 30cm. 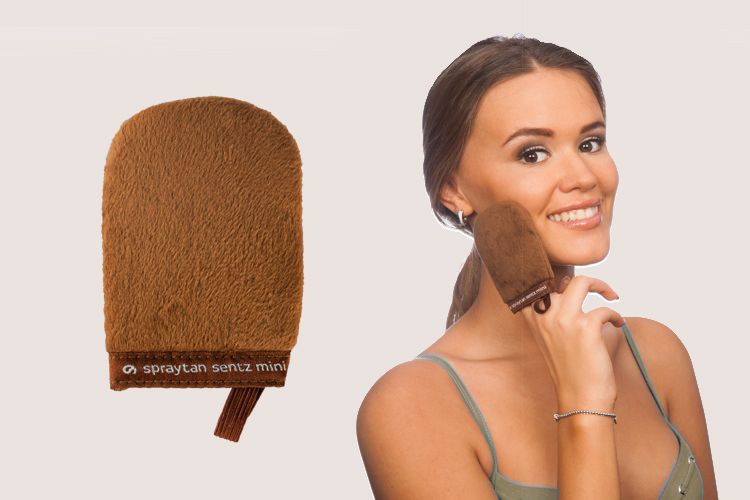 For the body you can use the Curasano Spraytan Express Sentz glove to to help achieve a smooth and even tan in the more difficult to reach places (the back of your legs for example). Is there a difference between applying Curasano Spraytan Express for men and women? There are almost no differences in the recommended way of applying Curasano Spraytan Express for men or women. The only difference is that for men with beards it is recommended to use the Curasano Spraytan Sentz glove to ensure a uniform application of the product. Where can I buy Curasano Spraytan Express? Can I obtain gift cards for Curasano Spraytan Express? It is currently not possible to obtain gift cards for Curasano Spraytan Express. We are however looking into offering the possibility to order gift certificates in the near future. Is Curasano Spraytan Express available in a gift box? 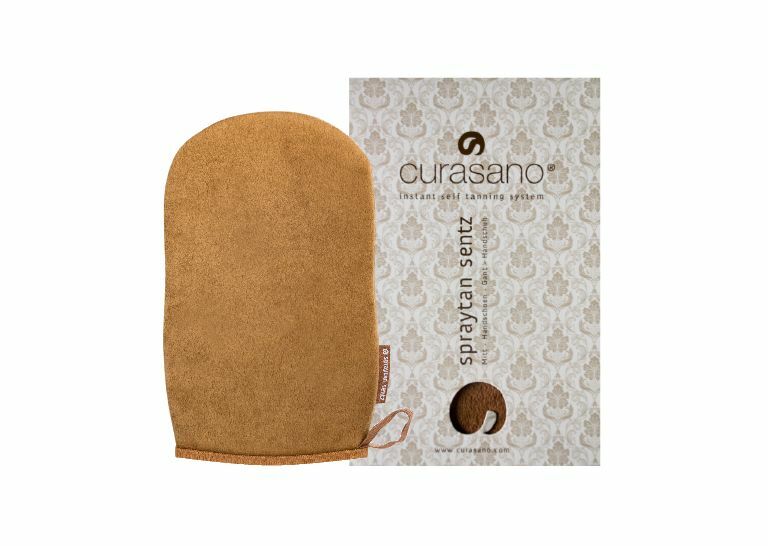 Curasano Spraytan Express is currently already available in gift boxes containing a Curasano Spraytan Express bottle and the unique Curasano Spraytan Sentz glove.